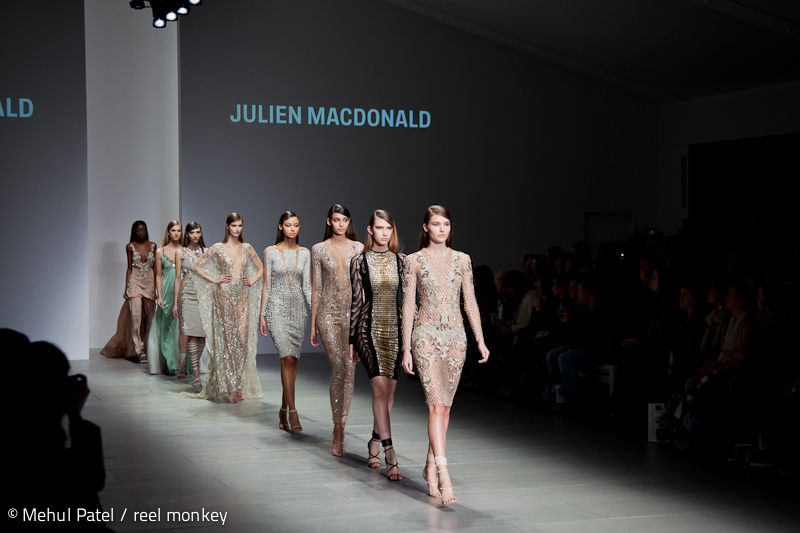 London Fashion Week is one of the highlights of the year in the fashion industry with leading international designers showcasing their designs, concepts and clothing to an eager media, celebrity and fashion business audience. A spin off from the event is the Vodafone London Fashion Weekend Show, where the public can get close to fashion action and see catwalks in the same venue, Somerset House, as the main industry show. This year, ‘Reel Monkey’, were there in attendance courtesy of Canon Professional Services and one of their retailing partners Wex Photographic. Whilst fashion photography is not a main area for us the opportunity to shoot at a major event (events and PR are!) was too good to turn down. Fashions trends that emerged from the show ranged from revivals of floral patterns and lace to going for sporty and metallic looks! Below are some of our images from the show.